Jennifer Theriault and Siobhan Cruise are emergency room nurses in Brockton. BROCKTON — Siobhan Cruise so strongly opposes a Massachusetts ballot question to regulate nurse staffing that she sometimes wears a T-shirt proudly proclaiming her stance. She pasted “No on 1” on her Facebook profile and planted a sign outside her house bearing the same message. Question 1, backed by the Massachusetts Nurses Association, seeks to limit the number of patients assigned to hospital nurses at one time. It sounds like an idea that all nurses might get behind. But not all of them have. An emergency room nurse at Brockton Hospital, Cruise worries the ballot initiative would strip nurses of the flexibility required to do their jobs. She also fears the costs of complying with the question would be so high hospitals would end up closing important patient services. “You hear ‘safe staffing’ and you want to think it’s going to be helpful, but I think it’s scary . . . if some services can’t be provided,” she said. Fifty-one percent of likely voters said they opposed the ballot question, according to the new UMass Lowell/Boston Globe survey. Cruise — who is a member of the nurses union — illustrates the divide among Massachusetts nurses ahead of the Nov. 6 election. Many forcefully argue that Question 1 is essential for them to provide better care to patients. Others say the ballot measure will make patient care worse. The debate is playing out on hospital floors and on social media, where many nurses are sharing their views, for and against. Linda Condon, an emergency department nurse at Morton Hospital in Taunton, said the ballot measure recognizes the reality of nursing today: that hospital patients are much sicker than when she began her career 36 years ago. “So that puts a higher demand on the nurse to pay more attention to each one of those patients, to be able to assess them, to deliver the care they need — whether it’s the IV medications, whether it’s wound dressings, whether it’s the turning of the patients on a regular basis so they don’t get these injuries. “If you have too many patients assigned to you, you can’t do that,” Condon said. It’s hard to know exactly how nurses will split over the question; an oft-cited survey from the nurses union says 86 percent of nurses support patient limits. But other nursing organizations oppose Question 1. Jennifer Theriault, also an emergency room nurse in Brockton, said nurses need to think on their feet. They have to strategize and balance the needs of their patients with other patients in the hospital. Another Brockton nurse, Tanya Mills, worries the requirements of the ballot measure would force patients to wait longer to be seen, because the law would forbid a nurse from taking on patients in excess of the set limits. “It makes me nervous for people that are going to be waiting in the waiting area, and what’s going to happen to them,” Mills said. 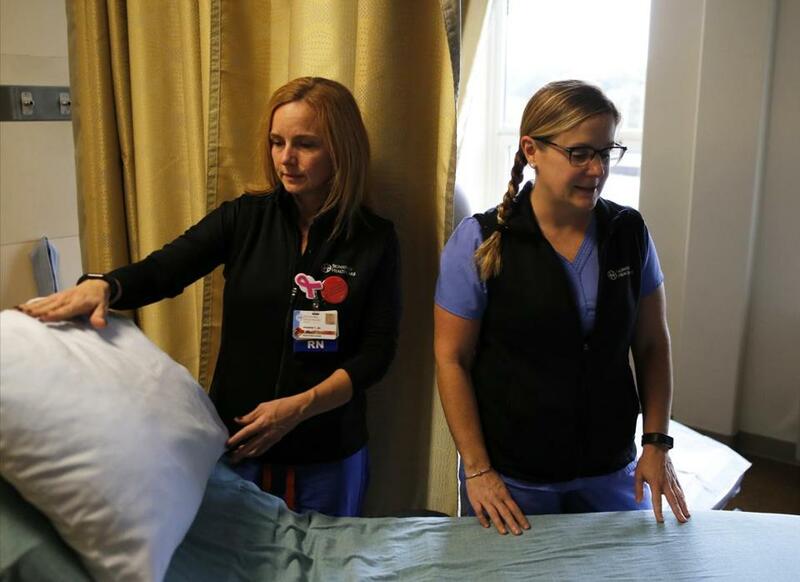 The Brockton nurses said they’re also concerned that if they break ratios to take care of patients with urgent needs, their hospital could be fined up to $25,000 per violation, according to the ballot measure. Their arguments echo those of hospital executives, who strongly oppose Question 1 and are waging an expensive campaign to try to defeat it. But the nurses told the Globe their opinions are based on their own research and experiences, and discussions with friends and colleagues. Brenda Sheridan can sympathize with nurses who feel stressed and overworked at times — she is one of them. Sheridan said hospitals should hire more nurses: “I don’t think the staffing levels are high enough,” she said. But Sheridan, who works in an intensive care unit at Beth Israel Deaconess Medical Center in Boston, said Question 1 is not the answer: It’s too restrictive and too punitive. “I definitely agree with the problem, I just don’t agree with the solution,” she said. The ballot question requires hospitals to develop new criteria to determine how sick patients are and to set limits based on those determinations. But patient conditions can change rapidly. Staffing ratios won’t account for this, Kennedy said. “These are human beings, and they can change very quickly and very dramatically. 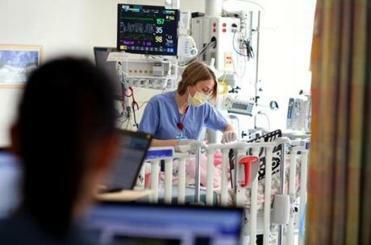 Nurses are trained and skilled in how to assign patients,” she said. The patient limits also don’t consider differences among nurses, Kennedy said. An experienced nurse, for example, may be able to handle more patients than a new nurse. Officials at the Mass. Nurses Association said such concerns are misplaced, and that bedside nurses who oppose Question 1 either don’t fully understand the initiative or have been confused — and spooked — by hospital leaders. Union president Donna Kelly-Williams said the ballot measure allows nurses to continue helping one another with patients — as long as they don’t take full responsibility for more patients than allowed by the law. “Is anything perfect? Is it going to take some work once we have this passed? . . . Yeah, it’s going to take a lot of work,” Kelly-Williams said. Nurses in favor of Question 1 said they have filed many complaints with hospital officials when staffing falls to what the feel are “unsafe” levels. They often hear the same answer: “Do the best you can,” said nurse Kathy Reardon.